Can Your Student See the Blackboard – or Rather, Whiteboard at School? Remember when teachers used to write with chalk on blackboards? Today, those blackboards, chalk and erasers have been largely replaced with whiteboards, markers and Power Point presentations. Parents and teachers know vision plays a vital role in a student’s ability to learn. In today’s technology driven world, a student’s reliance on clear vision for learning is greater than ever. Research studies show a direct link between vision and a student’s performance in the classroom. Various research studies conducted in educational theory show that visual learning is among the very best methods for teaching students of all ages how to learn. According to the research, students remember information at a much higher rate when that information is presented visually. Studies also show that visual clarity of the information being studied greatly impacts the ease at which it is learned and the attitude of the student. Students have a positive approach to the information if they can see it clearly and easily. This has huge implications on learning. A student’s feelings and perceptions about learning determine the student’s level of motivation, comprehension and retention. Crisp and clear vision is critical for optimal academic performance. If a student has a vision problem, they are likely to be frustrated with school and develop a poor attitude towards their education. 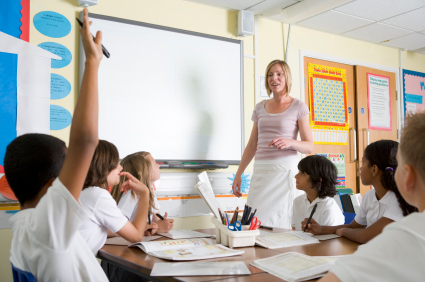 The increasing use of whiteboards and Power Point presentations in the classroom allow teachers to use a wide variety of colors in their teaching. If a student has an issue with their color vision (color blindness), they may not be able to see or distinguish important parts of the teacher’s presentation. This can have a significant impact on understanding a teaching lesson and learning. Boys are more likely to have issues with color vision than girls. Academic performance is yet another reason why attending regular scheduled eye exams are so important. Talk to your eye doctor about your child’s academic performance and whether they are having trouble seeing the information presented to them in the classroom. It can be surprising how well a student’s grades improve when vision problems are corrected. Learn more about quality eye care and eye wear from a company and a team of eye care professionals who have been providing a superior level of service for more than 35 years. Please visit www.shawneeoptical.com. While on the website, notice the special eyeglass frames offered just for children. Shawnee Optical’s KidSpecs program provides kids of all ages with hundreds of frames choices. After all, kids want to look good too!